There are a lot of travel blog guides for Kuala Lumpur, for a layover. But these just scratch the surface, and rarely contain tips for the sustainable or even the offbeat traveller. By and by, as I explore my own city, I will gradually write about the quirky things I find. 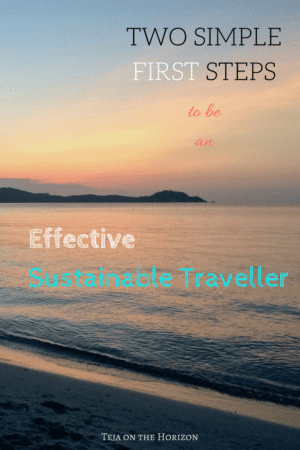 But have I got any tips for my own base city of Kuala Lumpur, for the sustainable traveller? That is a good question. This is what I intend this live page to be for. It’s not so much a list of my ‘best recommendations’, nor is it an overview of where the city is at in terms of sustainability practices. 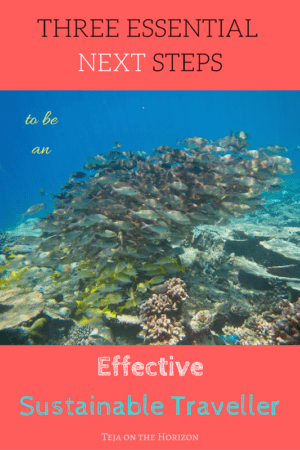 Rather, it is a shortlist of interesting tips that would increase the sustainability element of your time in Kuala Lumpur. Obviously this is not an exhaustive list – I’ll keep updating this every so often with different things! But here’s something to get you started! This would not be a true Malaysian-written guide if it didn’t begin with food! There is a mind-blowing diversity and availability of food in Malaysia, throughout the country. But what if you’re looking for a little extra value other than just the culinary one? This site is basically like the Airbnb/Couchsurfing for restaurants. You select the local home chef that you want to visit. Then they make you a home-cooked meal and host you for a pleasant dinner evening. I’ve tried this myself in Kuala Lumpur with a couchsurfer, and lucked out with a wonderful hostess. This is a local social enterprise that caters and organises meals cooked by KL’s many refugee communities. Malaysia receives a great many refugees from the region (mainly Rohingya fleeing ongoing genocide in Myanmar) as well as internationally. This is despite getting no formal recognition of their status here. Picha Project is a Malaysian enterprise that aims to provide empowerment through livelihood for refugees sheltering in Kuala Lumpur, and introduce the culture of the refugees’ origin countries through their food. Thinking out of the box – suppose the foodie experience is not about your meal? PERTIWI runs a volunteer-driven soup kitchen to deliver basic food aid to the society’s disenfranchised. You can contact PERTIWI to assist in soup kitchen activities, run 4 times a week at several locations within central Kuala Lumpur. Places to get secondhand goods, bulk/not plastic-packaged groceries, recycling locations, etc. can be found on the Zero Waste app, downloadable from App Store and Google Play. Choose ‘Malaysia’, pay $1, and access the geo-referenced information. As a tourist, I’d point you to Pavilion mall in Bukit Bintang as being the easiest location for a re-supply. There is a Lush, for those sustainable travellers who feel more comfortable with a known brand. Additionally, on the same floor as the Lush store, on a cross bridge to the other side of the mall, is an Olive Tree kiosk. Olive Tree is an Australian-Malaysian brand selling organic and non-plastic packaged personal care products. For those who are more mobile or perhaps couchsurfing in more residential KL areas, The Hive in Bangsar and Ampang has a wider range of zero-waste / non-plastic packaged goods. Most Malaysians still live very car-centric lives. However, visitors to KL typically stay around the city centre hubs. This makes the more sustainable train system perfectly viable for the sustainable traveller. I won’t really cover the KL train systems, since there’s already a lot of official information. Just check out the link, or enquire on arrival. But KL also has a bike sharing option. [update: oBike is no longer operating; but I’ve seen a scooter version around. Will update later!] This is an app-based, dockless bike sharing option available in the city centre. You unlock the bike with the smartphone app. And ‘dockless’ means you don’t have to return the bike at any particular location. Just leave it. The oBike people know where it is through location tracking and will recover them later. Although biking is pretty much the most sustainable transport option, bear in mind that Malaysian traffic can be unpredictable (you have travel insurance, right?). Even though there are (sort of) bike lanes in some places, they are sometimes on the side of proper roads without a barrier. Also, motorcyclists often commandeer these lanes as ‘shortcut’ routes to bypass traffic on proper roads. Most travel blog articles, and even official tourism material, would cover the cultures of the major races in Malaysia. The majority content for KL point you to the Chinese and Indian communities, who are often more prominent in cities and towns across Malaysia because that was where the migrant communities congregated in the long years of our history. Here, I intend to add lesser-known culture tips, and explain how your visit can significantly improve more overlooked or marginalised communities. Although not in Kuala Lumpur, this little cultural village complex is an easy half-day road trip from KL. The Mah Meri are an aboriginal people of the Malaysian peninsula, belonging to the Senoi ethnic group. They live in the coastal areas of Carey Island, in the state of Selangor. Known for their surreal wooden statuary and intricate nipa origami work, the Mah Meri Cultural Village tries to keep alive these cultural elements in the face of modernisation. In the early part of the year (around late January to early February), they celebrate two Ancestor festivals. Both are about honouring their ancestor and guardian spirits. Find out more from my story attending Ancestor Day with a coastal Mah Meri village, along with tips on how to participate respectfully. Check out Mah Meri related tours (and other local tours) on Lokalocal. Refuge for the Refugees (RFTR) was founded by a bunch of 18 year olds (their own words). They provide support to refugees that make their way to the relative safety of Malaysia, primarily to the Chin ethnic minority. Chins are one of two ethnic groups fleeing persecution from the up-and-coming exotic travel destination of Myanmar; the other are the Rohingya, fleeing genocide. RFTR organises screenings and other events every now and then to raise awareness on refugees seeking asylum in Kuala Lumpur. Why not check them out, and meet inspiring young people doing their part responding to the refugee crisis of the 21st century? Proceeds help them continue their work providing schooling to refugee children and creating a support network linking Malaysians with resources, and refugee communities who need them. Malaysia has many valuable nature destinations, spanning rainforests, wetlands, bird congregation areas, coral reefs, cave complexes, and more. Although there has been a great deal of development pressure on/near natural heritage areas, there is a longer history of naturalist interest in the country. 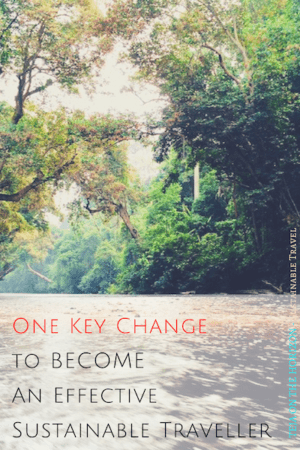 The conservationist traveller could find out more by looking up talks and forest walks facilitated by the oldest environmental NGO in Malaysia, the Malaysian Nature Society. Check out their website, and you can also drop by their office – itself a quaint old early-Kuala Lumpur era building. For the outdoorsy traveller in Kuala Lumpur looking for a little bit more than light walks and hikes in a green park, FRIM is a great option. Yes, without leaving Kuala Lumpur, it is possible to undertake nature activities and get more of a learning experience in a rainforest! Check out their website, or this article on my blog.